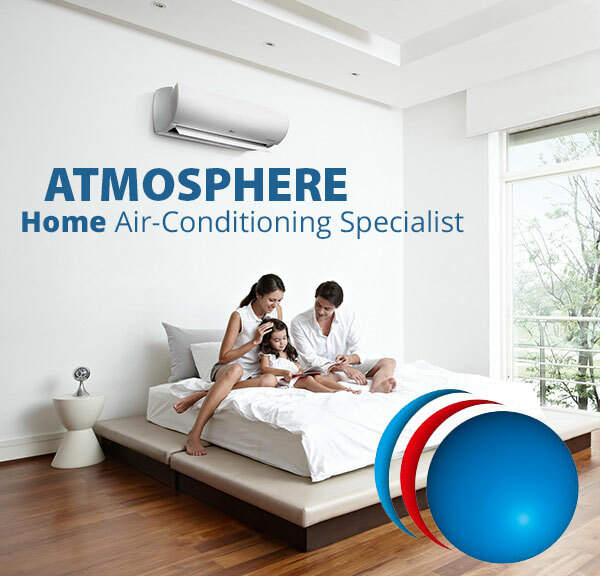 Atmosphere air conditioning can tailor air conditioning to suit your home, lifestyle and budget. If you have any issues with the latter we can also offer finance through Skye. We are premium dealers for Fujitsu, Panasonic Actron and LG Air conditioners. We stand behind what we sell so we are also the warranty agents for these brands as well as several other major brands. We also are specialist dealers in my air which can be adapted to most ducted air conditioners to control every room. Our qualified friendly team can assist you with all your needs. Air conditioning is a cost effective way of controlling the temperature in your house or room. Reliable, cost effective air conditioning is best achieved with onsite inspection and discussion of your needs. Choosing the right size and type of air conditioning system is very important and can add value to your property resale. Split systems are a cost effective way for managing air conditioning in one part of the house. The size required although can be calculated is also determined by other factors such as the direction of the sun, construction type of your house and the windows and doors in the area. Multi head units are available to air condition multiple rooms of varying sizes, with one outside condensing unit. These are particularly handy in units, and residential areas with limited outside area. The down side is although they are a great way of achieving this cost is sometimes a little prohibitive. Ducted air conditioning it the one we all love the most. It is designed to be felt but not seen or heard. Ducted air conditioning can cool all parts of your house greatly improving your comfort levels. Installation can vary from the basic 3 zones through to temperature regulation in every room of the house, and the ability to have all except 1 room off. Wifi is available these days with most air conditioning, provided you have home wireless internet. If this is something of interest to you please ask our friendly staff. Servicing your air conditioner is important in maintaining the cost effectiveness of the working of the air conditioner just as servicing your car to make certain it runs as smoothly as possible. We recommend regular preventative maintenance in order to save possible problems in the long run. Such as with blocked drains and bearings etc.